Habitat for Humanity may work around the corner from you, but we also work across Canada and around the world. To date, Habitat for Humanity International has built, rehabilitated or improved more than 1 million houses in 70 countries and provided shelter for more than 6.8 MILLION people worldwide! Through Habitat’s Global Village volunteer trips, you can volunteer with us in more than 40 nations. Our trips offer more than just the opportunity to swing a hammer. You’ll experience the country like a local and meet people from around the world. While your trip may last for a week or more, your financial, emotional and physical contributions can be life-changing for both those in the communities where you work and in your own life for years to come. Habitat for Humanity Canada’s support for the Global Village program impacted 1,404 families in Ethiopia, Cambodia, El Salvador, Honduras and Haiti in 2016. The Canadian Global Village teams bring invaluable support to the communities they visit. Their concentrated people power and enthusiasm give homeowners a real boost. More homes are built each year because of the donation Global Village teams make to the hosting Habitat affiliates. Global Village teams are composed of eight to twenty volunteers, and are led by one or two experienced volunteers who are trained and supported by the Global Village staff. Fifty-six new Habitat homes have been completed this year in Cambodia, Ethiopia, El Salvador, Nicaragua, and Dominican Republic. An additional 10 Habitat homes are currently under construction in Malawi. One latrine has been completed so far this year in Ethiopia. It is currently serving 20 families in the community of Fitche, improving sanitation and restoring dignity. 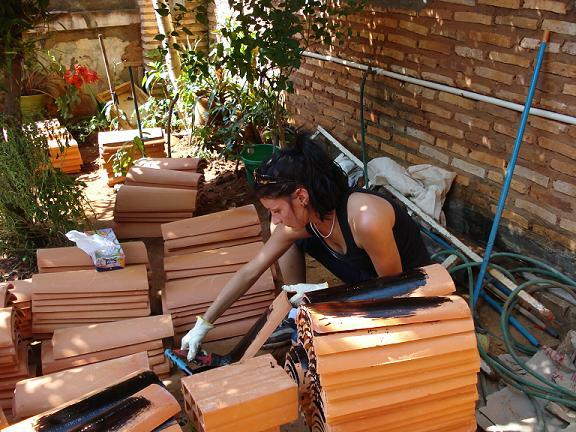 In El Salvador, 101 vulnerable youth from at-risk areas have engaged in productive activities while volunteering on two Habitat home construction sites in their communities. This year more than 130 people have been empowered through training programs on various topics, including financial literacy, entrepreneurship, family violence, and how to secure land tenure. If you have a sense of adventure, are in good health and willing to work hard, you can be part of a Global Village team. 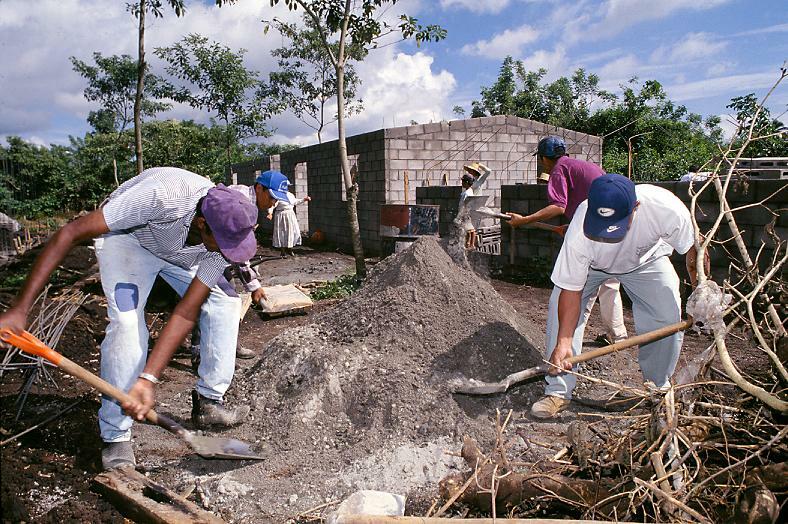 Men mix concrete at a Habitat build site in El Salvador with three Habitat houses under construction in the background. A group of seven staff, volunteers and board members from Habitat MVI headed to Nicaragua in April where they helped build a home for a local family in need. The build was organised as part of habitat Canada’s global build program, which Habitat MVI donated $10,000 to last year. This was the first international build Habitat MVI representatives had participated in. The team were involved in building a new home for a family of nine who had been living as squatters, using garbage to fill holes in the home they had put together using found materials. 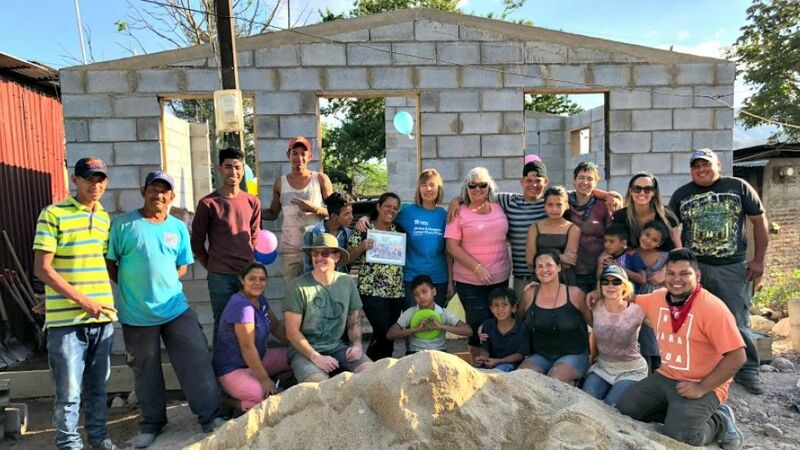 It took only nine days for the team, who were joined by members of other Habitat Societies and the local Nicaraguan Habitat for Humanity, to build the home, a single room with solid walls, a roof and doors, minus the roof which was due to be added soon after. For the entire team of volunteers, the trip was an emotional one. Happy tears were shed for and by the recipient family who were delighted to have a home which won’t be flooded in rainy season.